At a ceremony held earlier in March, officials celebrated the beginning of construction on the Charleston Harbor Deepening Project to 52 feet. "It is a monumental accomplishment to begin construction on the Charleston Deepening Project, which make Charleston the deepest port on the East Coast at a time when deep and wide shipping channels are necessary," said Jim Newsome, South Carolina Ports Authority president and CEO. 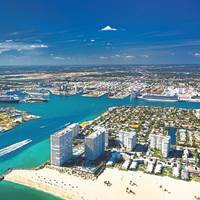 "The container shipping industry today is dominated by big ships, and ports must adapt to handle them in order to remain competitive. The Charleston Harbor Deepening Project was named one of six “new starts” and received $17.5 million in construction funding in the U.S. Army Corps of Engineers (USACE) Fiscal Year 17 Work Plan released today, allowing construction on the project to begin this fall as scheduled. Charleston also received $16.1 million in operations and maintenance dollars, which provide for the routine maintenance dredging of the harbor necessary for construction begin. Collectively the funds allocated in the Work Plan allow Charleston to continue moving forward and preparing for construction. Today's passage of S.612, the Water Infrastructure Improvement for the Nation Act (WIIN), formerly known as Water Resources Development Act (WRDA), by the U.S. House of Representatives, moves the Charleston Harbor Deepening Project closer to securing the authorization necessary to begin construction. "We applaud the House for passing this legislation before the end of the year, which is critical to modernizing ports and port-related infrastructure across the country," said Jim Newsome, SCPA President and CEO. "The South Carolina Delegation worked extremely hard to move this bill forward. Bill includes construction authorization for Charleston Harbor Deepening Project. Today's passage of S.612, the Water Infrastructure Improvement for the Nation Act (WIIN), formerly known as Water Resources Development Act (WRDA), by the U.S. House of Representatives, moves the Charleston Harbor Deepening Project closer to securing the authorization necessary to begin construction. "We applaud the House for passing this legislation before the end of the year, which is critical to modernizing ports and port-related infrastructure across the country," said Jim Newsome, SCPA President and CEO. 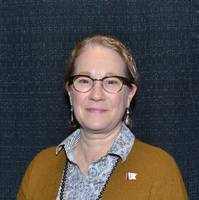 During the PVA Annual Convention at MariTrends 2016 held January 23-26 in Crystal City, Va., members of the Passenger Vessel Association (PVA) elected Margo Marks of Beaver Island Boat Company, Beaver Island, Mich. as PVA President for 2016. Margo Marks is President/General Manager of Beaver Island Boat Company, Beaver Island, Mich. The company has provided passenger service, vehicle service and freight service between Beaver Island and Charlevoix, Mich. since 1984. The first ferry service to the island began in 1890. 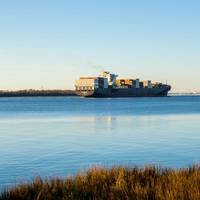 South Carolina Ports Authority (SCPA) posted 10 percent container growth in 2015, a year highlighted by strong volumes and significant progress on the harbor deepening project. SCPA handled 144,718 twenty-foot equivalent units (TEUs) in December, pushing total container volume to 1.97 million in 2015. As measured in pier containers, or total boxes handled, SCPA's two container terminals moved 1.12 million boxes in 2015, an increase of 9.54 percent over 1.02 million containers handled last year. 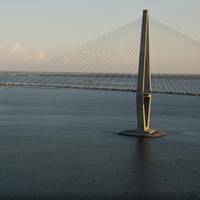 This week's signing of the PreConstruction Engineering and Design Agreement and passage of the omnibus appropriations bill with construction funding for Charleston marked milestones for the 52-foot Charleston Harbor Deepening Project. Wednesday evening South Carolina Ports Authority (SCPA) and U.S. Army Corps of Engineers, Charleston District (USACE) signed the Design Agreement, marking the official beginning of the Project's Preconstruction Engineering and Design Phase (PED). 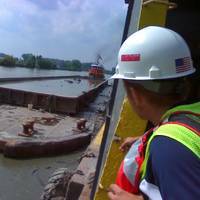 PED is the final major phase of the deepening process before construction begins, with work activities to include ship simulation studies, refinement of cost estimates, coastal monitoring and analysis of beneficial use of dredged material. 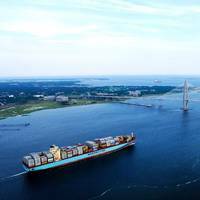 Container volumes increased 14 percent during SC Ports Authority's (SCPA) 2015 fiscal year, building upon several previous years of above-market growth with strength across all business segments, SCPA announced. 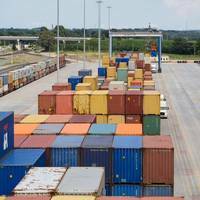 "2015 was a memorable year for SC Ports Authority," said SCPA president and CEO Jim Newsome. 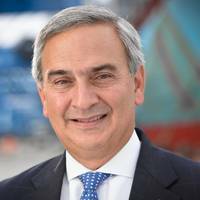 "We reached near-record levels of containerized cargo and saw strong volume and good diversification of the breakbulk sector. SCPA handled 1.9 million twenty-foot equivalent units (TEUs) during the fiscal year that ended June 30, a jump of 231,473 TEUs from the 2014 fiscal year. Charleston Harbor deepening project earns key federal funding for preconstruction engineering and design; U.S. Today SC Ports Authority announced $1.303 million in federal funding for the Post-45 Harbor deepening project, allowing the preconstruction engineering and design (PED) phase of the 52-foot deepening effort to begin. The announcement follows last week's U.S. Army Corps of Engineers Civil Works Review Board (CWRB) approval to release the project's Final Integrated Feasibility Report and Environmental Impact Statement for final review, another critical step of federal approval for the S.C. Port Authority to provide the deepest harbor on the East Coast. "The allocation of federal funding for the PED phase of our deepening project is tremendous," said SCPA Board Chairman Bill Stern. U.S. Today in Washington, DC, the U.S. Army Corps of Engineers Civil Works Review Board (CWRB) unanimously approved the Final Integrated Feasibility Report and Environmental Impact Statement for the Charleston Post-45 Harbor Deepening project, a significant step in the federal process that ensures the project is on schedule to receive its Chief's Report this September. "Today's approval by the Civil Works Review Board allows our harbor deepening project to progress without delay," said Jim Newsome, SCPA president and CEO. "Once deepening to 52 feet is realized, Charleston will offer the deepest harbor on the East Coast with the capability to serve fully-loaded post-Panamax vessels 24 hours a day. 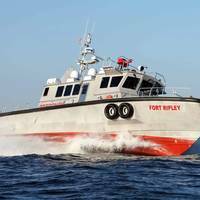 One person was killed and two people were injured when a boat ran aground on Shutes Folly off Charleston, South Carolina, late Thursday evening, the U.S. Coast Guard reported. One man was killed after being ejected from the vessel. Two female passengers were treated for injuries and were taken to the Medical University of South Carolina. Watchstanders at Coast Guard Sector Charleston received the initial report of the incident from one of the injured passengers, stating their recreational boat had run aground with enough force to eject one person from the boat. A boatcrew from Coast Guard Station Charleston was launched aboard a 29-foot Response Boat — Small II to assist. The deceased was transported by a Mt. Pleasant Fire Department response boat. 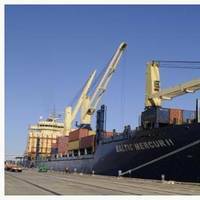 February marked the second consecutive month of 18 percent container growth at the SC Ports Authority, bringing fiscal year container volumes totals to 1.23 million twenty-foot equivalent units, or TEUs. Last month Charleston handled 152,925 TEUs, a significant increase from 129,747 handled during the same month last year. 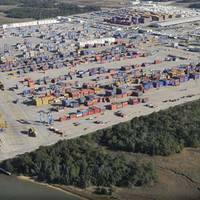 Since the fiscal year began in July, the port's TEU volume is 14.3 percent higher than the same period last fiscal year. As measured in pier containers, SCPA moved 86,258 boxes in February.